Islamic extremists believed to be affiliated with the al-Qaeda-linked al-Shabaab terrorist group in Somalia shot to death a Christian convert and her son after breaking into their home last month. According to Morningstar News, an organization that reports on the persecution of Christians worldwide, four al-Shabaab terrorists broke into the home of Suleiman Abdiwahab, which lies in a town about 20 miles west of Mogadishu, in the middle of the night on Feb. 10. The 38-year-old Abdiwahab and his family, who are living secretly as Christian converts from Islam, were sleeping when the perpetrators broke down their front door, entered their home and shot him, his 35-year-old wife, Faduma Osman, and his 11-year-old son, Ahmed Suleiman. Although Abdiwahab was able to survive his serious gunshot injuries, his wife and his son were not as fortunate and died from the bullet wounds. Fortunately, Abdiwahab's two daughters and 9-year-old son were able to run out the backdoor and find shelter in another town. "The gunmen fired several shots, then destroyed the door with a big metallic object and were able enter into the house," Abdiwahab told Morningstar News in an interview. "They randomly shot at everyone." Abdiwahab said the militants shouted "Allahu Akbar" (God is greater) while committing the crimes. Additionally, the father recalled the militants saying they "cannot allow the defiling of our religion with a foreign, Western religion." Sources told Morningstar News that neighbors found Abdiwahab, his wife, and son lying in pools of blood and took Abdiwahab to a local hospital in Afgoi after realizing that he was still alive. Abdiwahab was later transported to a medical center in Mogadishu for advanced treatment. Since leaving the hospital, Abdiwahab has been relocated to a shelter outside of Afgoi amid safety concerns. Afgoi continues to be an area of conflict between Al-Shabaab and Somali government forces, as the terrorist group had briefly taken control of the town on three different occasions and continues to control rural farm lands outside of the town. The Somali government and the African Union Mission in Somalia have been fighting to eradicate al-Shabaab for the last decade. In the last few years, the government and AMISOM have been successful in pushing al-Shabaab out of major cities. With the presence of al-Shabaab in Somalia, the African country ranks as the second-worst country in the world when it comes to the persecution of Christians, according to Open Doors USA's 2017 World Watch List. "Christian converts from Islam in the country have been facing a great deal of persecution, and martyrdom is very common," an Open Doors fact sheet on Somalia states. "The mere suspicion of one's having renounced Islam leads to a rushed public execution." 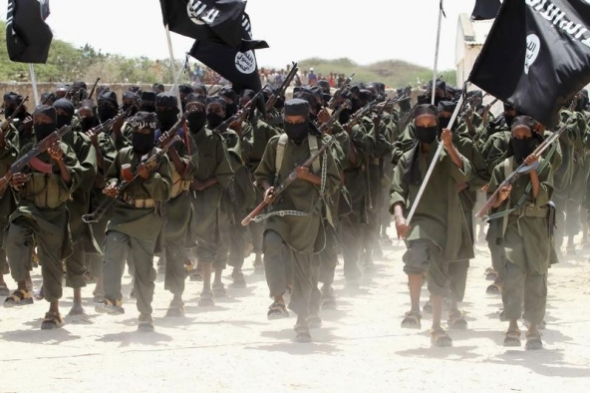 Al-Shabaab does not limit its terror to just Somalia. In April 2015, al-Shabaab carried out one of its deadliest attacks to date in Kenya. Militants affiliated with the outfit killed at least 148 people and injured 79 others in a massacre at Garissa University. It later emerged that al-Shabaab had seperated non-Muslims from Muslims at the school and proceeded to kill the non-Muslims and Muslims standing in solidarity with their non-Muslim brothers and sisters. Al-Shabaab militants also attacked a bus in Mandera, Kenya, in December 2015 and attempted to again separate Christians and Muslims. However, a number of Muslims on the bus handed over their hijabs to a number of their fellow Christian passengers to stand in solidarity with them. A total of two passengers were killed in the attack, while three others were injured. It was later reported that a Muslim passenger who stood in defense of the Christians on the bus later died from gunshot wounds. Last week, it was reported that Kenya Defense Forces killed as many as 57 al-Shabaab militants during a clash in the Afmadow area of Somalia. "KDF soldiers remain vigilant and will continue to relentlessly pursue the terrorist to ensure peace and security of our country Kenya, as well as support AMISOM operations in order to stabilize Somalia," a KDF spokesperson told the Kenyan news outlet Standard Digital Media. Al-Shabaab militants were responsible for an attack on a hotel in Mogadishu that killed as many as 28 people and injured dozens in January. Additionally, al-Shabaab militants beheaded four men in the Jamame district of Somalia in February after the men were accused of being government spies. The Independent reports that the beheadings came after the men were found guilty and sentenced to death by a Sharia court.